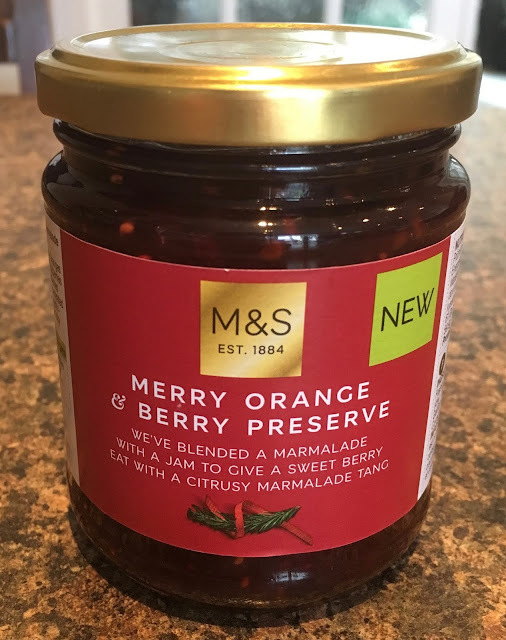 I have purchased a jar of Merry Orange and Berry Preserve from Marks and Spencer. I think this is the first Christmas review of the year. I love Christmas, I love the season, and I love all the limited edition items that come out for it. I have to admit though, September is a little early even for me. I like to get through Halloween before I really think about it. 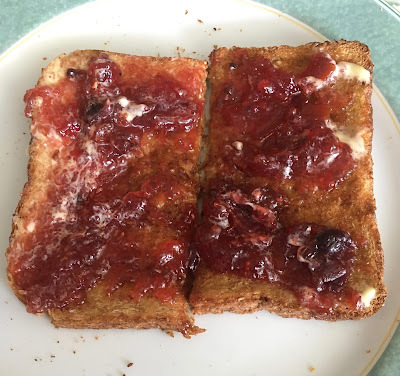 I’m letting it go though as I actually did need a new jar of preserve and this one was the only “new” one I could find in Marks, the Christmas hint on the label shall be ignored, the taste shall not.